Are We About To Experience Gilbert Gottfried vs. Shecky Greene: Round Two? In this exclusive interview, we chat with Gilbert Gottfried about his Friar's Club kerfuffle with Shecky Greene, and the mysterious joke that pushed Greene over the edge. What does it take to send comedy legend Shecky Greene running for the door of the Friar's Club? 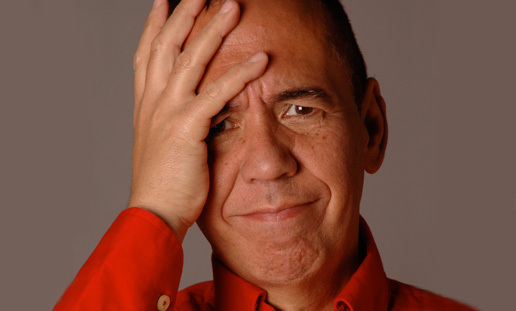 Evidently, Gilbert Gottfried's dirty jokes do the trick.